Take a slow motion trip through the event known as UFC 230, when double champ Daniel Cormier defended his heavyweight title against Derrick Lewis. It took him two tries, but Daniel Cormier can finally call himself the UFC’s light heavyweight champion – a title he earned through perseverance, hard work and a refusal to accept no for an answer. When Jon Jones was suspended indefinitely and stripped of his belt in April 2015, Cormier begged UFC president Dana White for a chance to fight for the title again, despite having lost to Jones by unanimous decision in January 2015. Cormier got a second opportunity and capitalized, using a third-round rear naked choke on Anthony “Rumble” Johnson at UFC 187 to claim the vacant title. Cormier is no stranger to success, having been a two-time Olympic wrestler and six-time U.S. Open national champion, but he has also struggled with losses. At Oklahoma State, he lost the Division I finals. He finished fourth at the 2008 Olympics and never made it to the 2012 Summer Games after falling ill.
TRAINING: My typical day is to get up in the morning, spend some time with my kids, feed them breakfast and then head to the gym. M/W/F sparring and grappling and Tues and Sat wrestling. Thursday is jiu-jitsu and running. Weightlifting on Wednesday and Saturday. When and why did you start training for fighting? I started training in August of 2009. I wanted to train MMA because I love the competitive aspects of fighting. I love combat. Do you have any heroes? My heroes are all the greatest wrestlers in U.S. history: John Smith, Kevin Jackson, Dan Gable, Kenny Monday and all the guys that came before me in what I believe is the toughest sport in the world. What does it mean for you to fight in the UFC? Being in the UFC means a great deal to me. I have been around it because of my teammates, but to finally fight in the show will be an experience like no other. I can't wait. Did you go to college and if so what degree did you earn? I went to Oklahoma State University and got my degree in sociology. What was your job before you started fighting? I was the club coach at Oklahoma State and also wrestled internationally post-college. Specific accomplishments in amateur competition? I was a six-time US open national champion. Two-time US Olympian (Captain of 2008 team), Pan-Am games champion, NCAA runner up and two-time NJCAA National champ, 2007 world bronze medalist and 2007 USA wrestling wrestler of the year. I was 5th, 9th, and 3rd at world competitions and I was 4th at the Olympic Games. Favorite grappling technique: Guillotine choke. Favorite Striking technique: Overhand right. Cormier was an undefeated 14-0 when he faced Jones at UFC 182 in Las Vegas. He pushed the champion to the brink but was successful on just one takedown attempt and dropped a unanimous decision. At the time, it appeared he would have to work his way back into title contention. 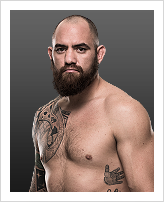 But when the title was vacated, he pestered White to put him in the Octagon against Johnson, arguably the hardest puncher in the UFC. White put aside any concerns he may have had and granted Cormier a second shot in the span of four months. This time, Cormier reached the pinnacle of the UFC. 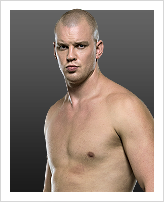 He pushed Johnson against the cage and controlled the match on the mat, using his weight to tire out Johnson before he applied the decisive submission hold. 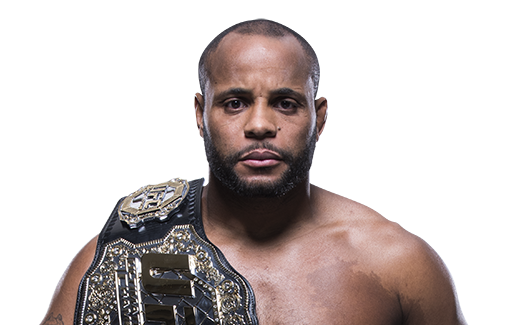 Cormier worked his way up the ladder in an MMA career that began in 2009, scoring victories over Dan Henderson, Roy Nelson, Frank Mir and Antonio “Bigfoot” Silva. It culminated in a title belt that was well earned and well deserved. US open national champion, two-time US Olympian (Captain of 2008 team), Pan-Am games champion, NCAA runner-up and two-time NJCAA National champ, 2007 world bronze medalist and 2007 USA wrestling wrestler of the year. Fifth, ninth and third at world competitions and fourth at the Olympic Games.